The best CPA exam review courses are essential to your success and could be the difference between passing and failing your exams. Furthermore, there’s no one-size-fits-all course, so it’s important that you choose the one that best fits your own learning style and preferences. Hence, these CPA study materials will be your best friend and constant companion for the next 6 to 18 months, so your choice had better be on point. Lucky for you, I’ve accessed and personally tried each of the top Certified Public Accountant (CPA) review courses below to save you the effort! The chart below shows what each of the top 7 courses provides (or doesn’t provide) and explains what I found most important in making this critical decision. Which CPA Test Banks Are Best? Which CPA Exam Cram Courses Are Best? Which CPA Exam Flashcards Are Best? Which CPA Exam Mobile Apps Are Best? Which CPA Review Course Has the Best Video Lectures? Which CPA Course has the most Multiple Choice Questions ? Which CPA Course has the Best Task-Based Simulations (TBS)? Experienced Instructors: Surgent CPA Review instructors each have at least 15-20 years of experience teaching accounting and CPA Exam prep courses. This gives them more insight and useful strategies than the average teacher. Video lessons are very short and often average 10 minutes in length, which makes it easy to absorb lessons. New Dashboard: Surgent has released updates for its course designed in a way that is both intuitive and nice to look at. This is one of the cleanest-looking courses on the market and it’s something that sets Surgent review apart from other products. Unlimited Course Access: With Surgent, you have complete access to course materials until you pass. This really defines Surgent from other CPA Exam course reviews as it removes the stress of worrying about extra fees if you fail to pass your test the first time. Value: In terms of getting the most bang for your buck, it’s hard to beat the Surgent CPA Review. With a new design and more streamlined access to content, you’d expect a price tag that’s a little higher. Free Flashcards: Surgent created a Free CPA Exam flashcard app that is available for both iOS and Android devices with a 5-star rating in both app stores. The app features 2,200 terms and definitions and is free whether you choose to buy the full course or not. Why Surgent? If you want to pass the CPA Exam quickly, Surgent and its learning technology makes it the best course for passing the CPA Exam as fast as possible. Fun Video Lectures: The biggest selling point of this elite CPA exam review course is Roger himself. He’s a truly dynamic and engaging teacher who makes you want to pay attention. Furthermore, his energy pulls you in and makes the material so much more interesting; it’s clear that he has a passion for helping students pass the CPA exam. High-Quality Material: Roger writes his own book, creates the multiple choice questions in-house based on released AICPA questions, and teaches every lecture in the program himself. Consequently, you know you’re getting high-quality study material based on Roger’s knowledge and expertise. Memory Techniques: “The Roger Method” uses memory aids and mnemonics to help you retain the information. Hence, this makes it easier to remember the sheer volume amount of information you need on your test day. Flexibility to Study Your Way: Roger CPA Review offers great flexibility in how you study with 24/7 online access, mobile device support, offline access with a USB drive, and audio lectures. Ultimately, with the many different study options, you can study anywhere, at any time. Why Roger? If you struggle to stay focused with boring accounting lectures, you need the easy-to-read and engaging style of Roger CPA Review. Bite-Sized Lessons: Wiley CPAexcel has created a model based on “bite-sized lessons” in which each lecture is broken down into shorter lessons that take as little as 30 minutes to complete. Shorter segments are more effective if you can’t commit to multiple-hour lectures in one sitting. Consequently, these bite-sized lessons allow you to cover more exam content at a faster pace. Most High-Tech: CPAexcel is the most efficient system I’ve reviewed to date. The course uses analytics from your study progress to give you performance metrics and diagnostic exams to help find your areas of improvement. Furthermore, their course focuses on your personal “Study Strategy” to assess your progress and optimize your study plan for success. Study On The Go: The course is available for download on multiple devices, which gives you the option to study on any mobile device when you’re on the go. The course also has a mobile app that gives you access to 12,000+ multiple choice questions and 4,000+ flashcards when you’re not near a computer but have a window of time to study. Free Continuing Access: With Wiley, you’ll enjoy unlimited access and free updates! The Wiley CPAexcel course has no expiration date and all updates and upgrades are free until you have passed the CPA exam. Additionally, another unique feature is that you’ll continue to have access to the course for up to one year after you pass. Exam-Identical Software: The practice multiple choice questions and simulations are presented in the exact same format that you will see on the actual exam. When exam time comes, you’ll be familiar with exactly those functions and capabilities that are available at the testing center. Consequently, you won’t be overwhelmed or confused by the exam software. Why Wiley? Wiley is the perfect course for you if you are looking for small sized lessons to squeeze into your busy schedule. Robust Study Material: There is no end to the study material provided by Becker. Students can pull from a substantial library of educational resources with exceptional quality and design, including a large library of supplementary study materials for harder portions of the exam. Online Features: All a student needs is an internet connection to access a wealth of features through Becker’s prep courses and study packages. Essentially, any studying conducted through these channels are stress-free and allow for each student to learn at their own pace. Live Courses: It doesn’t matter if students want to learn in person or through their computer; Becker provides them with the opportunity to enroll in a fleshed-out live course. Students will be able to receive high-quality education taught from a real instructor in real time if they enroll in one of these courses. Price: Although it is possible to find discounts and set up payment plans, there’s simply no getting around the fact that Becker is one of the most expensive options available for CPA test prep. They’re well worth the price, but the price is far from cheap! Why Becker? Honestly, you should use Becker only if someone else is going to pay for it. Otherwise check out other review courses if you want better chances at passing the CPA Exam. 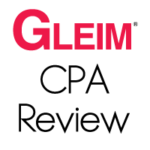 Number of Questions: Gleim provides students with over 9,000+ multiple choice questions. Using Gleim as a supplement for FAR, I found that the questions were a lot more difficult than those on the actual exam. By mastering the difficult practice questions, I was more than prepared for the questions on my exam. Affordable: At $1,799 Gleim is the best bang-for-your-buck course on the market. Thousands of practice questions and sims, a customizable study planner, audio lectures, and a personal counselor all make this course stand out. If you just want to use this program as a supplement, you can even purchase individual test prep for a single section of the exam for under $200. Audio Review: An audio review is provided with the purchase of the Gleim Review System package. It can be downloaded to multiple devices to facilitate studying on the go. I used an audio review while I studied and it helped me tremendously. Ultimately, the information is relevant and set up logically in 20 audio lectures (per section) that last approximately 30 minutes each. Affordable: Fast Forward Academy CPA review is relatively affordable at $1,014 for the Online Bundle package, or $1,224 for the Smart Bundle package, which comes with physical textbooks. The course is designed for students who prefer not to use physical textbooks, but let’s be honest—there’s better options out there! Responsive Study Planner:The study planner is customizable and responsive. Once you select your study period and exclusion days, your daily study tasks are set up for you. Students can opt to receive notifications by text message to remind them of daily tasks. Some people have noted that this system isn’t too great, as it’s annoying and not really anything that can’t be done via another app or calendar. 30 Day Refund: Fast Forward has a guarantee that grants you access to the course until you pass. But what if you don’t fit well with the course structure and want to use a different course. Well, you’ll only have 30 days to figure it out in order to receive a refund. This isn’t much time, especially if you find out the course didn’t work for you when you don’t pass. Alternatively, other courses don’t have a time limit on their refund and instead abide by a pass or refund guarantee. You’ll have to make sure you meet all of Fast Forwards 30 day refund qualifications too in order to get your money back. No Mobile App: Although Fast Forward Academy’s learning platform can be accessed from most mobile devices, including iPads, iPhones, and most Android phones, there is no dedicated app to make studying on your phone or tablet more streamlined and convenient. Other courses have awesome mobile apps that makes quick study sessions easy and simple. It helps to have an app that you can use to quickly fit in a topic or two on-the-go. Why FFA? Fast Forward Academy is still a new course with a lot to prove. Therefore, I would recommend this for you if you are on a strict budget. Excellent Customer Support: Some students may have reservations about the lack of live lectures or fear that their questions won’t be answered. However, Yaeger provides direct access to instructors via their live Instructor Hotline, a feature most other courses do not offer. Live help comes from the instructors who teach the video lectures, including Phil Yaeger himself! Flexible and Customized Format: Yaeger caters to all types of students and offers flexibility by offering different types of study formats. The new AdaptaPASS course reflects students’ own preferences in how they like to study and takes into account the upcoming changes to the CPA exam in 2017 whether you prefer video lectures or textbook format. 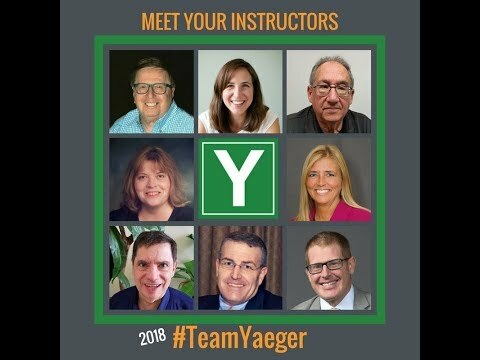 Teaching Approach: Yaeger’s instructors will walk you through each topic in their video lectures step-by-step, while they reinforce your understanding of each concept by working through hundreds of multiple choice questions and simulations right alongside you. Their goal is to make sure students understand concepts, as opposed to rote memorization. Affordable and Flexible Pricing: The complete Yeager online course includes the 100+ hours of video lectures, interactive textbooks, test bank software, instructor handouts, and access to the Instructor Hotline. Yaeger allows you to buy different packages, individual section materials, or various time subscription plans depending on how quickly you expect to pass each part. Additional Study Help: Yeager provides the option of audio lectures, the CPA review quiz generator, CRAM courses, and mobile flashcards. I recommend Yaeger for those students who need a comprehensive course that provides in-depth explanations and multiple study options. Honestly, I don’t think there’s a student who couldn’t benefit from all the choices Yaeger has to offer! Why Yaeger? 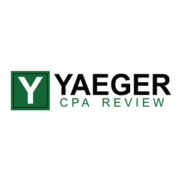 Yaeger is a good fit for you if you want a comprehensive course that gives you more than enough information to successfully pass the CPA Exam. While the CPA prep materials listed above are really good, sometimes the course that is right for you is missing a couple helpful features that can enhance your studies. Don’t stress. There are a variety of different supplemental CPA study materials you can use to add on to your CPA exam prep course to make sure it has everything you need to pass. Some popular CPA exam supplementals are mobile apps, test banks, flashcards, and cram courses. Let’s walk through all of these and look at why you may consider buying them. Remember that buying supplemental products from a different company besides your main CPA exam review course can be beneficial. It gives you a different study method and a variety of study materials. Studying for the CPA exam is made easier thanks to numerous practice questions. The best source for these helpful study tools is supplemental CPA test banks. Below are some of the best options available to those who are getting ready to sit for the exam. One of the most popular supplemental products in the CPA exam industry, the Wiley Test Bank includes 4,500+ CPA Exam practice questions with detailed answer rationales and 160 task-based simulations, including new Document Review Simulations (DRS). Whether you need to improve your CPA Exam score by 10 points or you simply want to solidify difficult concepts for final review, a solid Cram Course is the best study supplement to get you there. A CPA exam Cram Course is the best way to reinforce your understanding of the most heavily tested test topics in a short amount of time. Studying on the go is incredibly important for students and those who are working full time. Studying on your phone during your subway commute or lunch hour is invaluable, as it can turn downtime into productive breaks. CPA exam mobile applications are the best way to squeeze in twenty or thirty minutes of studying, especially when the app is fully optimized! CPA video lectures are ideal for those that prefer to learn by watching a teacher go over the important accounting concepts. Since many students prefer this style of learning, video lectures are one of the most important parts of any CPA review course. 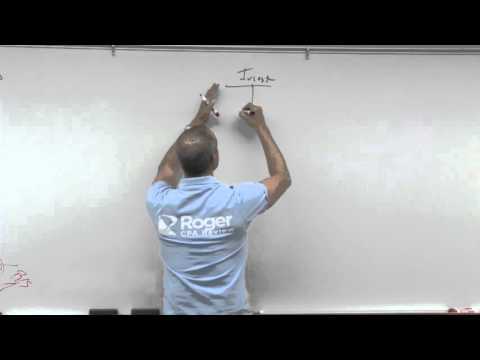 Roger CPA Review has some of the best video materials in the industry with his engaging lectures. Another great course for video lectures would be Surgent CPA Review and its knowledgeable instructors. Bottom Line: Since Roger is the most engaging instructor in the industry, Roger CPA Review is the best review course for video lectures. Multiple choice questions are the core of any CPA review course, as these mirror the exam content and are the best way to practice for the test. The number of MCQs isn’t always the most important metric for these questions. You must also note that some questions are harder and more like the actual exam than others. Wiley has plenty of great questions, but Surgent has multiple choice questions specific to your level of knowledge that will help you prepare for the test. Bottom Line: Wiley CPAexcel provides more multiple choice questions than any course, so you’re not going to run out of practice questions. Task-based simulations are increasingly important because of the changes made to the CPA Exam in 2017. Because of this new test that places more importance of simulations, CPA review courses now place more emphasis on these questions, ensuring you can pass after practicing the TBS section. Surgent and Wiley are the best courses for TBSs that have included up to date TBS materials and have optimized these sections for the new CPA exam blueprints. Bottom Line: While Surgent has extremely up-to-date materials, Gleim CPA Review has the most task based simulations for you to practice. Why pay full price for a CPA review course when there are plenty of great CPA discount codes that are available! Take hundreds of dollars off of the Surgent CPA Review or Wiley CPAexcel with these great CPA promo codes. 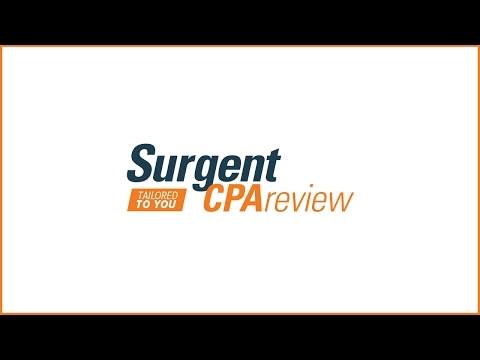 If you can’t pay for a pricey CPA review course, check out the financing options from Surgent and Roger CPA Review. CPA Review Course Price with Discount Financing Available? Bottom Line: Surgent offers the best financing options, with 0% and a low monthly rate thanks to an affordable price point. Not sure which review course is right for you? Don’t worry, I’ve got your back! Check out my side by side comparison of Wiley CPAexcel vs. Becker. You can also learn more about other accounting certifications including EA Review Courses and CIA Study Materials. If you have any specific CPA questions, just drop a comment below and I’ll personally help find the right course for you!